Jeremy Starr always knew he wanted to serve his community and during high school he made the decision to join the ranks of the United States Marines. He wanted to help in the Global War on Terrorism and ended up serving two tours in Iraq with 2nd Battalion, 7th Marines, as a mortarman within the Weapons Company. His active duty service would not be his only call to duty. After leaving the Marine Corps he decided to pursue a career as a firefighter, eventually starting his career in Milwaukee, his hometown. Now, he’s recently been promoted to lieutenant of Special Teams, where he trains for urban rescue operations. On top of that, he’s still serving in the Marine Corps reserves, which he joined two years after leaving the active service. In this episode Jeremy and I discuss the important of finding your “why,” not just in life, but in your everyday decisions. We tackle the challenges of feeling like the old guy amongst younger peers, and the loss of the “I’ve got your 6” mentality that is bred into your as a Marine. The book The Tribe, by Sebastian Junger. The MEPS Triangle (Mental, Emotional, Physical, Spiritual). I couldn’t actually find a solid lead on this concept but I did find an amazing speaker, Andrew Wittman, who speaks with retired Marine Corps Lt. Col. John Folchetti about the concept. 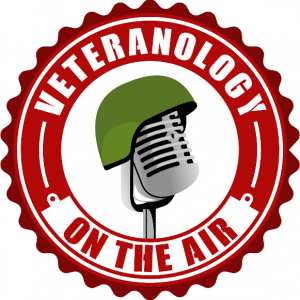 Last but not least, if you have a moment, please let me know what you think about the Veteranology podcast!